Mobile App Testing has come a long way, on par with the changing needs. It’s not just about having a good-looking app, users don’t think twice before uninstalling the app in case of any problem. None of the aspects can be left to fate. You need a dedicated QA team. 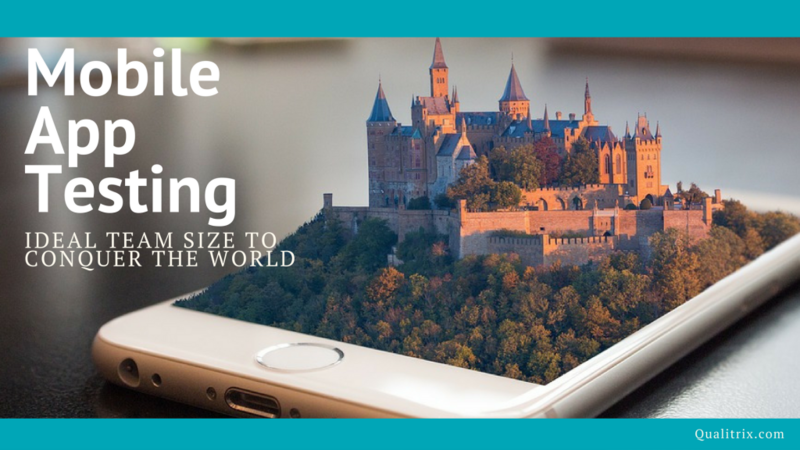 Here is the Ideal team size you must have for testing your mobile app. More and more startups are shifting to App-Only mode. Even for others, transactions and engagement are shifting to mobile. To maintain quality and performance, one needs to know why and what needs to be tested. Only then, we can talk about the ideal team size for testing a mobile application. Functionality In order to make sure that all the functionalities are working correctly, check all the flows of the app in an exploratory mode. This is to make sure that the app is delivering results in a viable manner. This includes testing features of an app such as load time and their interaction with the mobile devices such as battery usage.Resource needed: 2 Tester. One might say Emulators but they need to be managed by testers or developers. This checks how the app is working on different operating systems, screen sizes, ISP and varying network conditions.Resource needed: A device lab or more emulators and more wasted working hours of testers or developers. Think of all this cost and the fact that this is just the minimum you should test your app. There are other tests such as security and usability that need to be done for making the app intuitive. The cost of all the above can very well go above $1000 a month. Qualitrix QA Support for startups @ $ 990/month.